Cristiano Ronaldo opened his scoring account in the Serie A with a brace against Sassuolo. The Portuguese was tipped to have a pretty easy life after completing his move to Juventus this summer, but it was surprising to see the 5-time Ballon d’Or winner fail to find the back of the net in the first three games of the season. Ronaldo decided to stay back in Turin for this international break to settle in at the club – a decision that turned out to be fruitful. 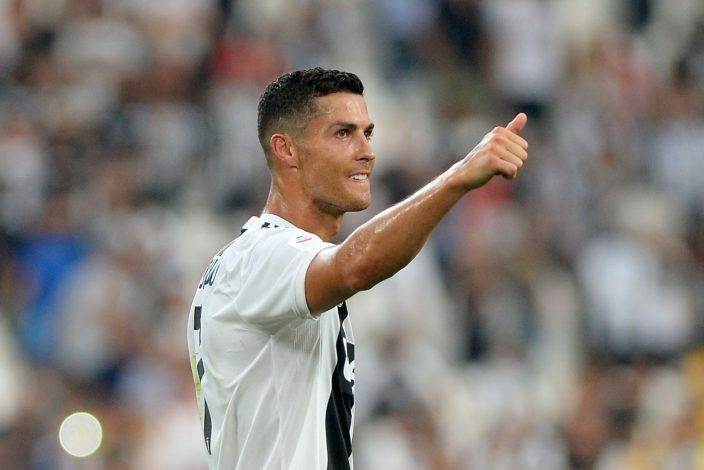 On Sunday, Cristiano scored the opener against Sassuolo, as he pounced onto a defensive mistake from the opposition and tapped the ball in from two yards out. The 33-year old celebrated with his trademark run and jump, which showed how relieved he was for scoring his first goal for the Bianconeri. But viewers felt that the celebration was a bit overdone, and they took to Twitter to express their dissent. 2017 – After 4 games and 28 shots Ronaldo scored his first La Liga goal. Ronaldo obviously wouldn’t be fazed by these comments, however. The Portuguese international took 320 minutes to score his first goal at the Italian club, and the celebration is just proof of how eagerly he had been waiting for this moment. Now, Juventus will be hoping to start their Champions League campaign on a positive note when they come up against Valencia on Wednesday.